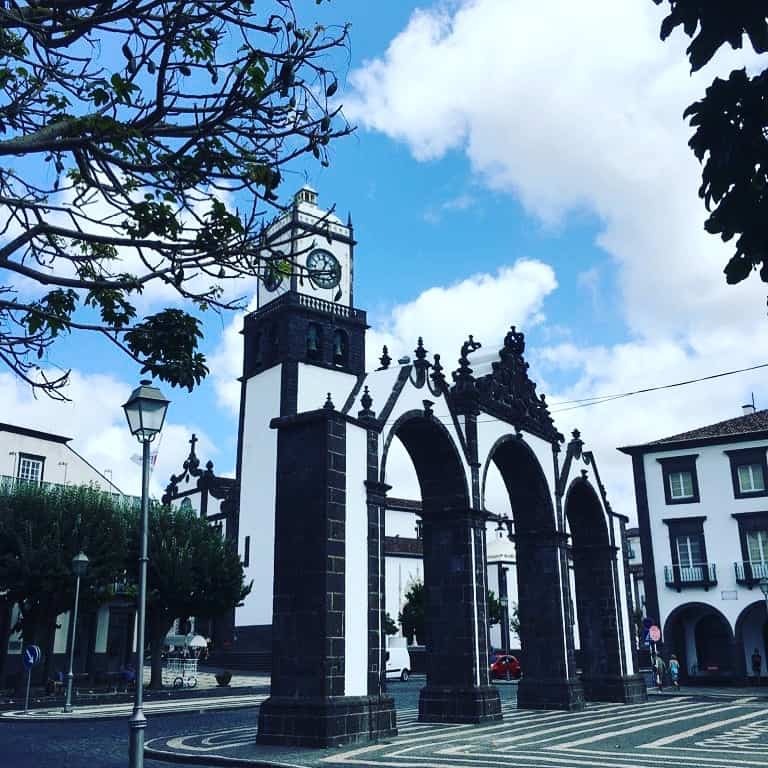 I’d recommend staying in the capital, Ponta Delgada, a charming place that is easy to walk around in a day. 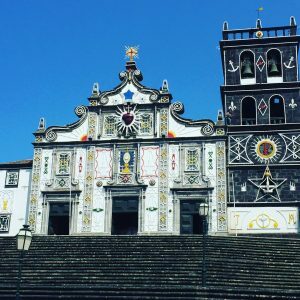 Wander around its pretty streets, taking in the distinctive Portuguese black and white architecture (I particularly liked the Portas de Cidade; three arches that once served as the city gates), before deciding what you specifically want to see. There are a handful of churches to pop into, as well as museums (e.g. the Museu Carlos Machado, a natural history museum, and the military history museum housed in the portside fort). 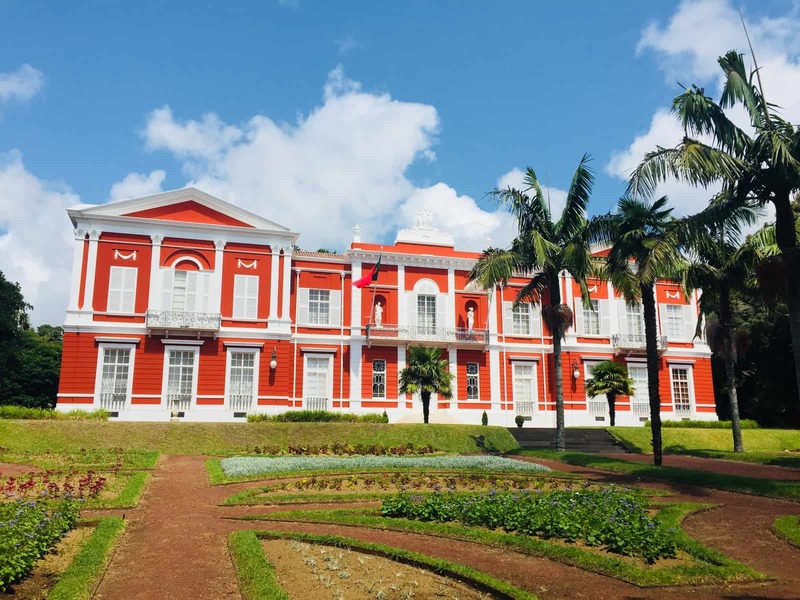 It’s also worth strolling around the Jardim e Palacio de Sant’Ana, a tranquil botanical garden with its lovely colourful house in the middle, a 15 minute walk north from Portas de Cidade. 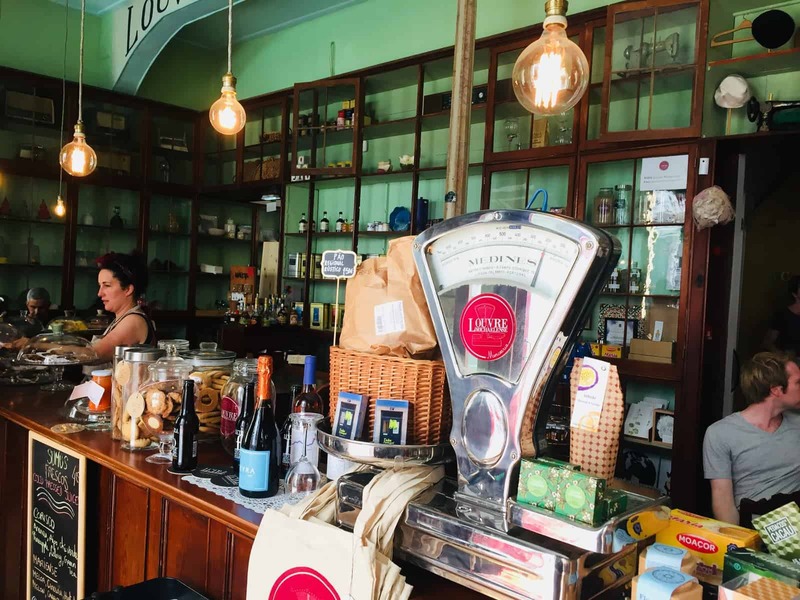 For a welcomed refreshment break, a must-see is the Louvre de Michaelense, a wonderful café set out as an old-fashioned apothecary. This is just off the main square and serves light lunches, teas and coffees, the islands’ traditional liquors and a large selection of cakes. If you like pineapple, I urge you to sample their delicious sponge cake, which I have to say, is probably one of the best cakes I have ever tasted. Later, if you have time, I would recommend heading out to either the Arruda Acores Pineapple Plantation – the only place in the world where pineapples are grown in greenhouses – or the Gruta do Curvao, the largest of all the lava caves in the Azores and a reminder of how volcanic activity has shaped the geography and history of the islands. Alternatively, you could book onto one of the dolphin and whale watching boat trips that leave the harbour twice a day (these are around three and half hours in duration, so you would need to plan this carefully into your itinerary). We were told that, on average, between one and three species are spotted – we were lucky and saw bottlenose and common dolphins and a group of beaked whales. Whatever your decision, make sure you finish your day with some excellent Azorean food, either in the streets around the main square or in one of the quayside restaurants. 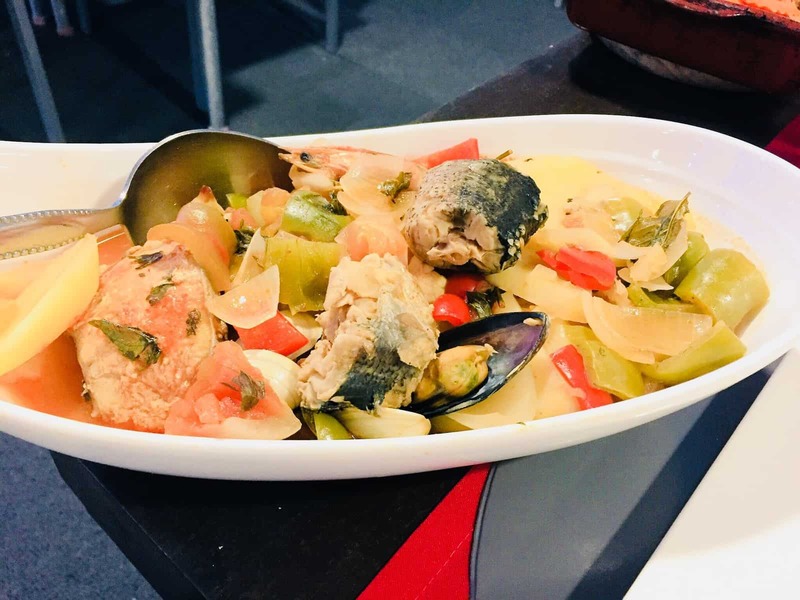 Seafood is a specialty (in particular grilled limpets – Lapas Grelhadas – and octopus stew – Polvo Guisado), and there is a lot of pork on the menus. 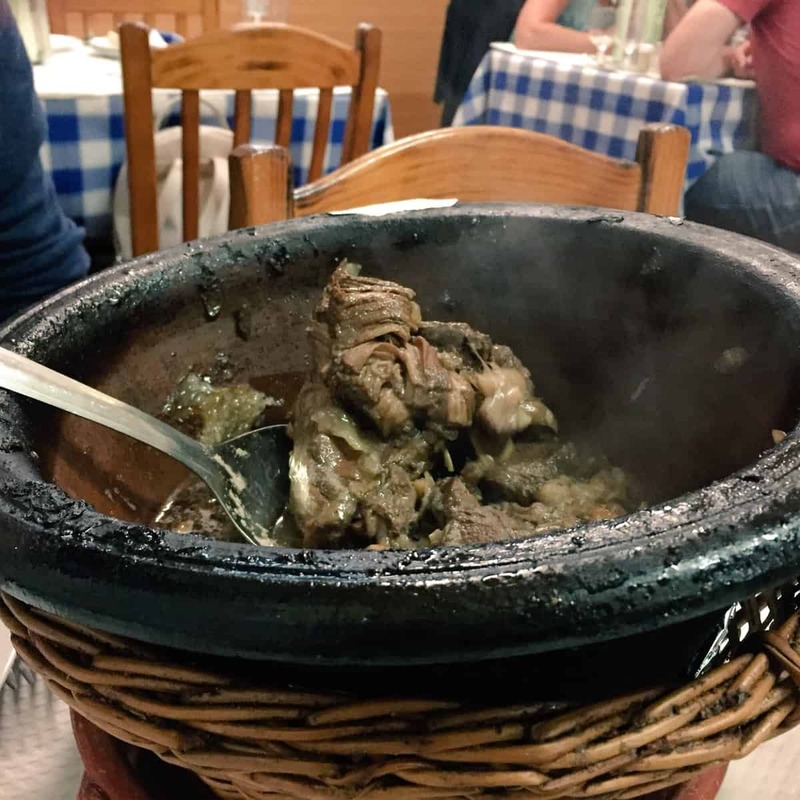 You might also wish to try the Caldeirada de Peixe (fish and seafood stew) and Alcatra (a steak stew cooked and served in a large clay pot). Head out to the west of the island and visit one of the most iconic sights in the Azores – the Caldeira das Setes Cicades. 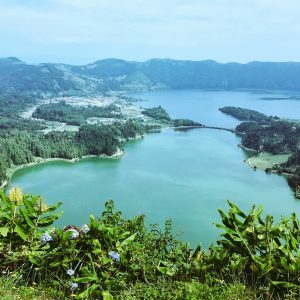 Less than an hour’s drive from Ponta Delgada, the iconic landmark is a 7 mile round volcanic crater housing two lakes: one green and one blue. There are several viewpoints on the way up where you can get out and wander around part of the upper rim looking out over into this breathtaking natural wonder. To say it is stunning is an understatement. On a clear day you really can see the different colours that define the two lakes. After soaking in the dramatic views, the road descends towards to the small village of Setes Cidades – you’ll get amazing views of the countryside – rolling hills and lush vegetation with country lanes that are lined with thick bushes of blue, pink and cream coloured hydrangeas (the Azores is famous for these flowers which can be seen throughout most of the year). Once you reach Sete Cidades it’s worth a quick stop to see the small church here with its almost mystical tree lined path leading up to it. 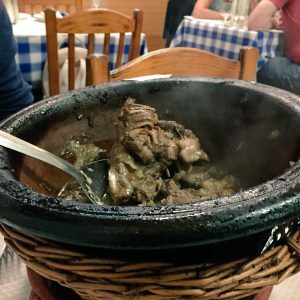 From here, it’s an easy hop to the coastal road, where you pass small picturesque towns and villages. There are plenty of spots to stop off as and when you fancy. 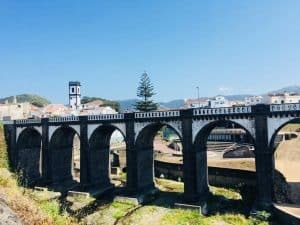 If you have time, I’d highly recommend taking in Rebeira Grande, the island’s second largest town on the northern coast, around an hour from Sete Cidades. 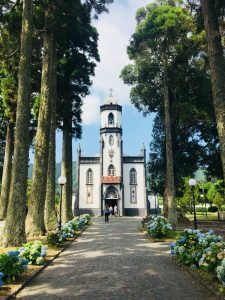 I thought this was a lovely little place with a charming small square, an arched bridge, and one of the prettiest churches I have ever seen. On the waterfront is a public lido if you fancy a quick dip after a long hot drive. You can get back to Ponta Delgada by car in less than an hour; you’re crossing the island here and get more good views en route. 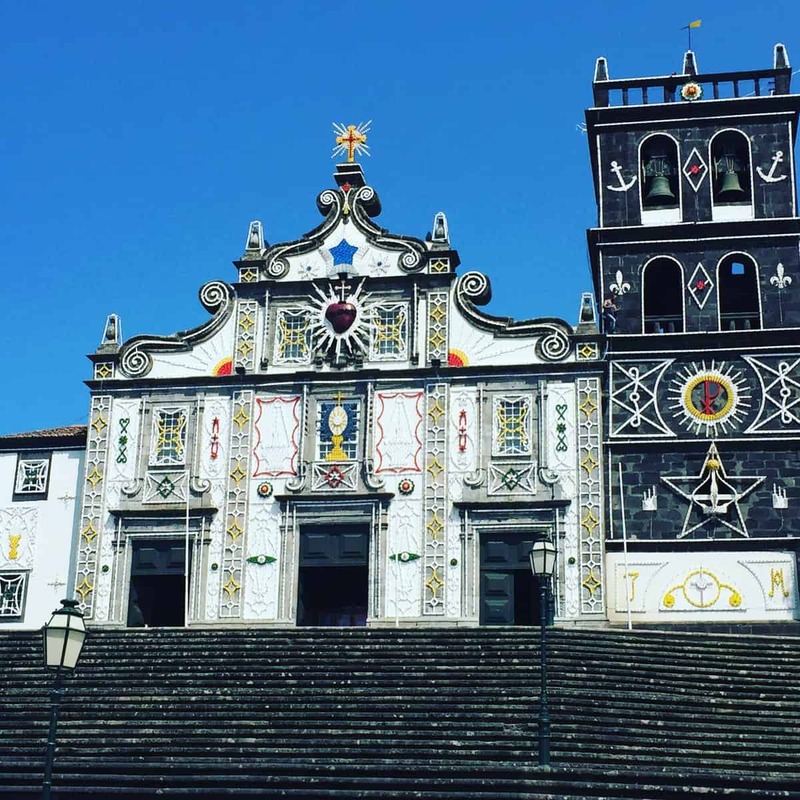 On your final day, you should head east from Ponta Delgada along the south coast. Less than an hour away is another amazing volcanic lake – Lagoa do Fogo. We hadn’t originally planned to visit but missed our turn off and decided to drive on – we weren’t disappointed. 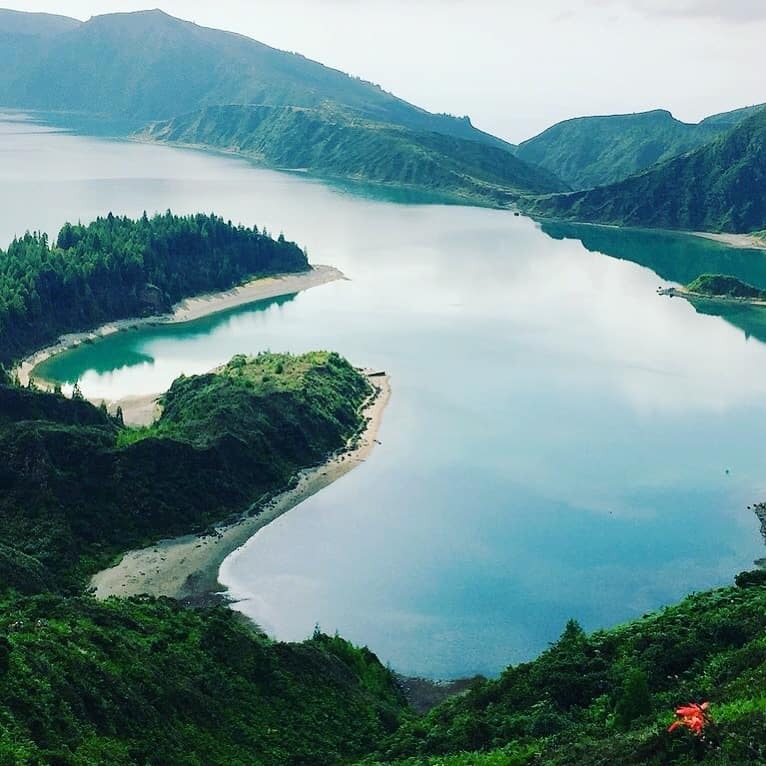 The Lagoa do Fogo, in my opinion, equally matches the Caldeira de Sete Cidades and if you see one, you should try to see both. Again, there are a variety of viewing platforms all the way up the mountain where you can stop off and take in the wonderful scenery, although the scenery does become more dramatic as you climb higher. 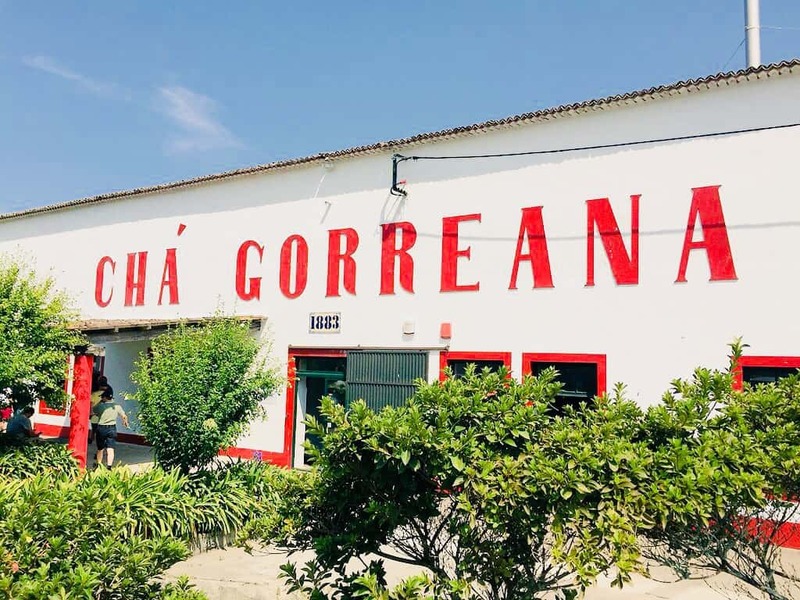 From here, move on to the Fabrica de Cha Gorreana (about 30 minutes away), a tea plantation located towards the northern shores. 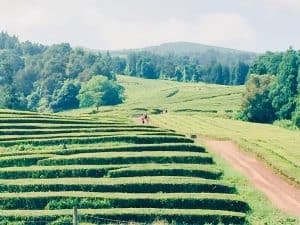 The Azores have the only tea plantations in Europe and you can learn about the process of making tea here as well as sample some of the locally grown crop. This is a perfect place for a short pitstop (but note that if you are travelling by car, the turn off is poorly signposted so you’ll need to pay some attention getting here). Heading south (about 20 minutes away) is the Vale das Furnas and its famous hot sulphur springs. You approach this area via yet more steep and windy roads, and really just need to head for the smell! 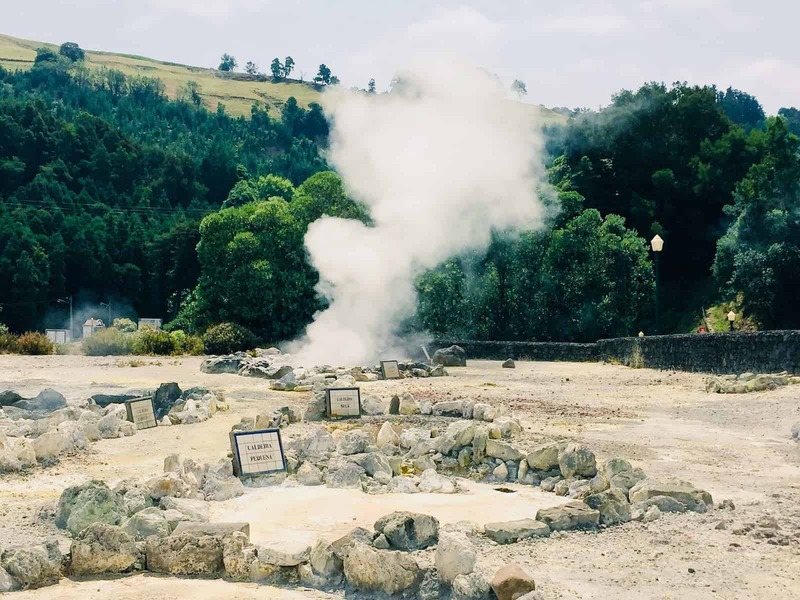 In Furnas town centre there are signs for the caldeira and here you’ll find a series of hot, steamy, noisy springs bubbling up from between the rocks. This is a relaxing way to spend some down time on what is essentially quite a packed trip, so take your swimming costumes with you (towels can be hired). Afterwards, head back to Ponta Delagda, via your third lake – the Lagoa das Furnas – for your final evening meal. 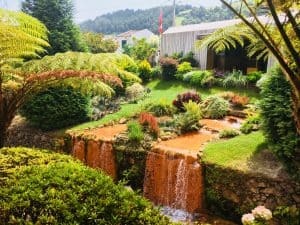 I hope this gives a flavour of just how varied the island is – and how much you can pack into a short trip to the Azores. Its location really should not exclude it from anyone’s list of travel on a time budget trips. Having said this, there are nine islands in the archipelago, so this is really just a taster – but one that will no doubt leave you wanting to come back again and again…. We flew directly to Ponta Delgada from London Gatwick with Sata Airlines in 3.5 hours and back with TAP Airlines, via Lisbon. We stayed in the Talisman Hotel, an old historic hotel right in the centre of Ponta Delgada. 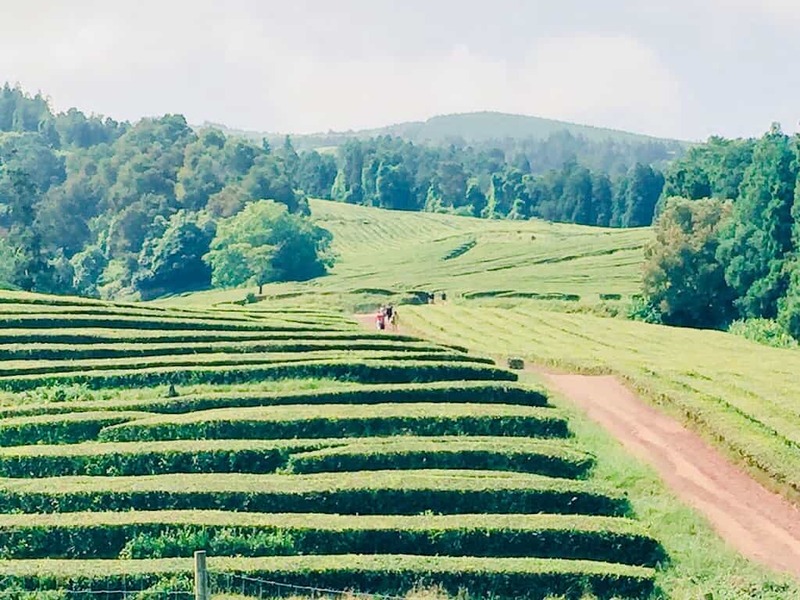 We hired a car to explore the island, but there are also trips that can be booked that will take you out into the countryside to see the main sights. There are also hop on and off buses that go to various places on the island. 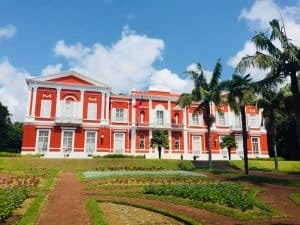 Entry to the museums and botanical gardens in Ponta Delgada is 2-3 euros; the pineapple plantation is free and includes a taster of their pineapple liquor at the end. The lava cave is 5 euros. 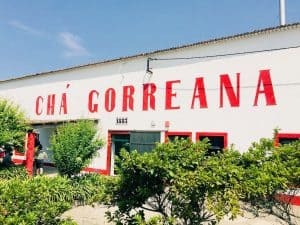 A visit to the hot springs in Poca da Dona Beja is 6 euros, with 1 euro for towel hire and 1 euro for a hot shower at the end. We paid 55 euros each for a whale watching tour with Futurismo. There are also other companies offering similar experiences, including swimming with dolphins; take a walk along the docks to decide which is best for you. 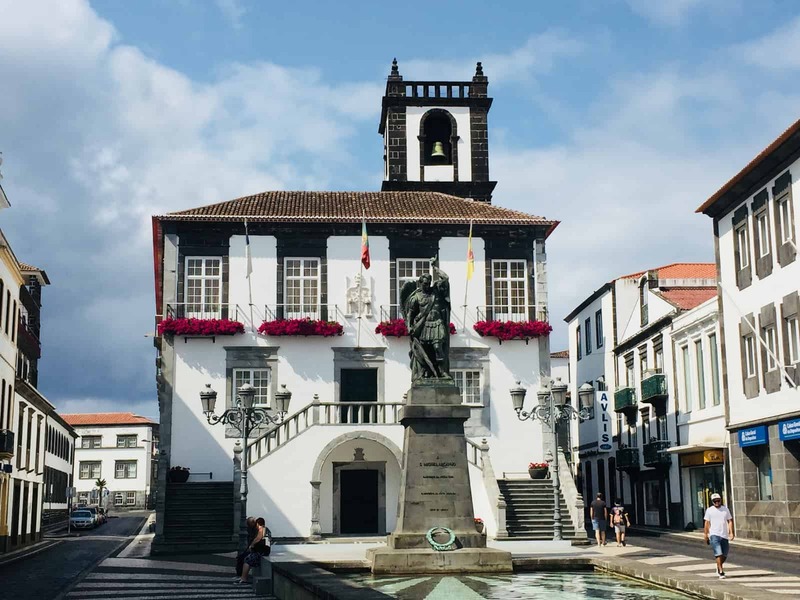 We also spent a short time on Terceira island – see my forthcoming post on this – and if you had longer for a trip to the Azores, there would be plenty more to do on Sao Miguel island, including hiking and cycling around the lakes and mountains and visiting more of the towns. 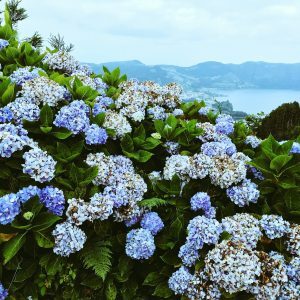 You’ve made me want to visit the Azores now, great post!